Blake Campbell, who hails from Reno, Nevada is the third partner of the BenefitMany team. With five years of development experience under his belt, he was previously a frontend developer for a company called MortarStone, which tracked financial giving for churches, a testament (no pun intended) to his passion for helping benevolent organizations. He says his interest in working with these types of organizations stems from volunteering with the Northern Nevada Food Bank in high school. He still has friends who work there and says it’s a great organization that is always doing outreach in the Reno area. He also enjoys working with nonprofits because they “don’t have programmers on staff, so it’s a nice way to use my skills and be satisfied with what BenefitMany is building.” Putting his coding skills to good use is important to him. Like the rest of the team, he has a deep passion for coding and problem-solving. With his love of math (“as nerdy as it sounds,” he pokes fun at himself), he entered college with a plan to obtain a physics degree but found that computer science was a more compelling, applicable path to take. This decision has clearly been beneficial to him, and through his work here at BenefitMany, many, many others. He says he loves coding because “like legos, it can be relaxing or really frustrating,” and “at the end of it, you still have something that didn’t exist before.” On top of his obvious affinity for Legos (whether it be current or not), Blake clearly has a creative side, mentioning briefly his interest in photography. He is always working to improve his skills, as he is determined to do the best work he can on any project he takes on. Blake also takes a lot of pride in his craft and will work hard until he has created something that he is truly satisfied with. When asked what problems he finds himself solving most consistently for his clients, he says “Stupid Simple Design,” an answer that understates a true talent and eye for simplicity. His interest in photography surely helps him narrow down problems to their core, an ability to almost see things in black and white so that a user’s experience is streamlined and uncomplicated. “As technology is getting more ingrained in life no one wants to read an instruction manual to make something work,” he explains. He has a knack for developing engaging and user-friendly products. 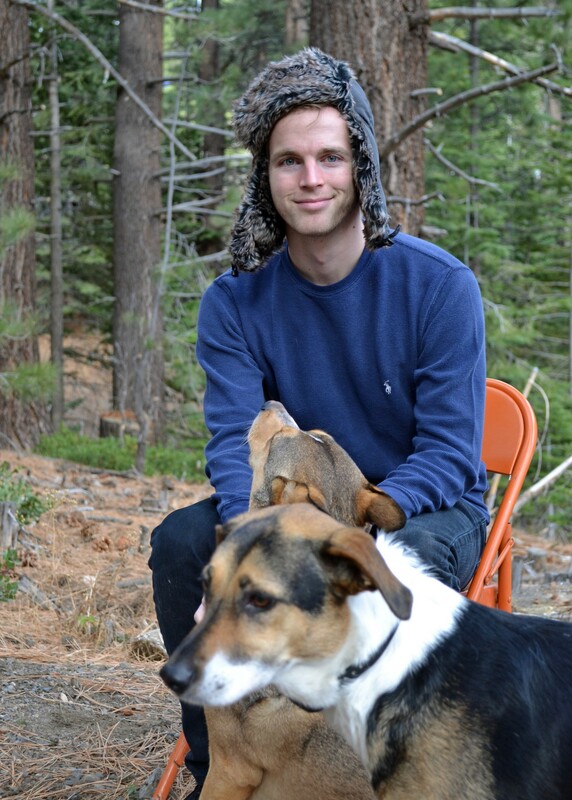 When he’s not behind his computer screen, Blake enjoys the outdoors, noting his love for hiking and taking walks. In high school, he ran cross country for three years, while still making time to help with the before and after school programs at the local elementary school. He really has been finding ways to combine his interests with his zeal for helping others since high school. Another passion he shares with the team is his love of learning. When asked the typical “if you could have dinner with anybody alive or dead?” question, his answer spoke to that ten-fold, in what I found to be a great, contemporary response. “David Letterman,” he said. “He’s been interviewing extraordinary people for longer than I’ve been alive. He has to have some advice and amazing stories to tell about his guests.” Blake’s latest endeavor in learning new things has been in cooking. He is enjoying exploring new interests and trying things he never has before. But don’t worry, his passion still lies in using the skills he has mastered to help others, transparently and clearly. “It’s nice to have all that work help someone,” and he plans to continue doing so for the rest of his career.